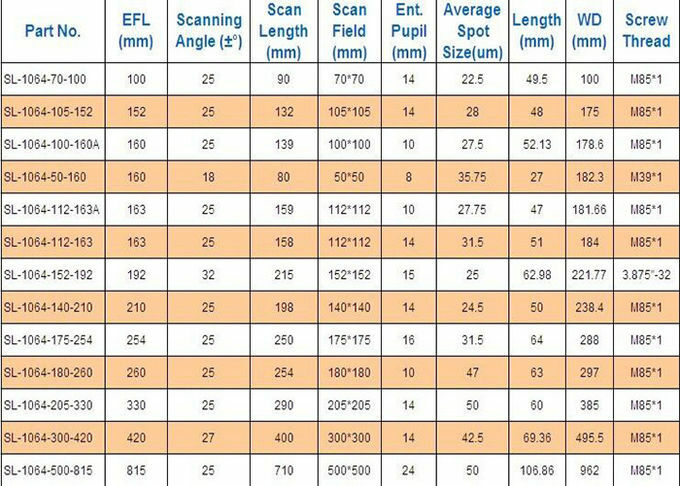 F-theta scan lenses are commonly used in conjunction with galvanometer scanning mirrors in laser engraving, cutting, and marking systems. The reason it being named as F-theta is due to the radial image height equals to focal length of the lens multiplied by the angle of the chief ray makes in the object space. Hence, from the image height, the distortion of the image can be calculated at each field of interest. 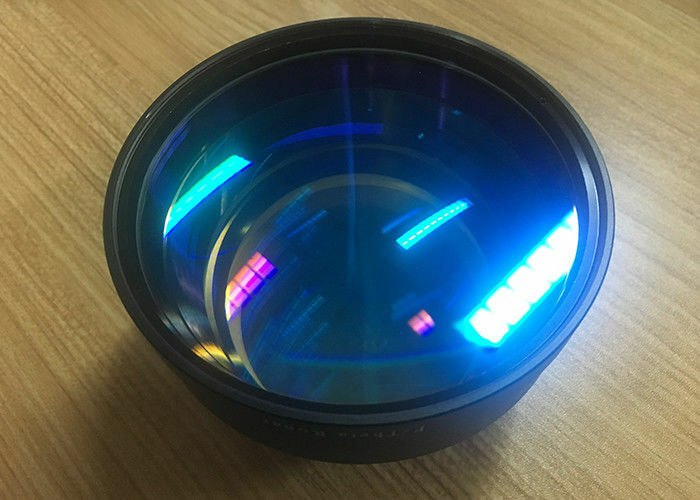 Typically the F-theta distortion of this lens is kept less than 1% so that it produces a precise spot on the flat field on image plane.